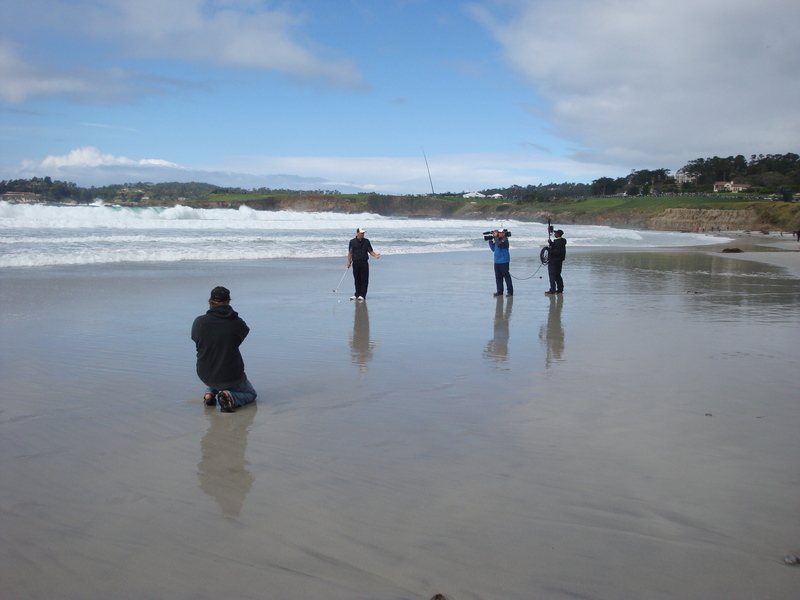 Golfer, accompanied by camera crew, attempts (unsuccessfully) to hit his half-buried ball back to the Pebble Beach Golf Course from the Carmel Beach. The first shot landed in a pile of kelp. The second shot, captured in this video, hit the wall and came right back to us. He threw in the towel at that point, which was probably just as well. This entry was posted on Saturday, February 14th, 2009 at 5:27 pm and is filed under Coastal Development/Erosion. You can follow any responses to this entry through the RSS 2.0 feed. You can leave a response, or trackback from your own site.